MAKE London is the DHMakerBus team’s entry for the Big & Bold competition, organized by MindStack. The bigger and bolder we can make this day, the better our chances at a $2000+ prize pot. There are a couple of ways you can help out: 1) Join us at the event! 2) Tell all your family and friends 3) If you’ve got some extra change and love the London Community, consider donating to the Big & Bold Indiegogo Campaign – you money will go to the winning project! We’ll be updating the site with details about individual makers on the days leading up to the event. 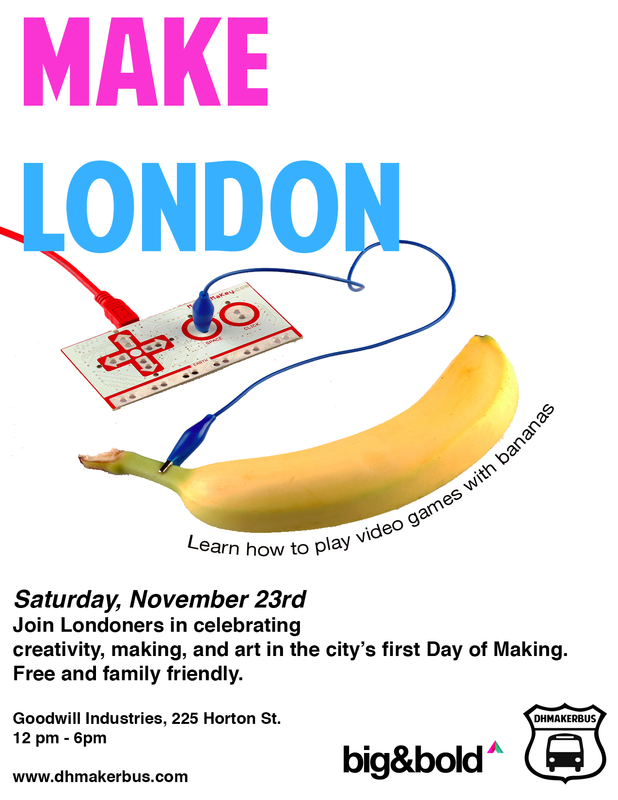 If you are a maker, and are interested in participating in MAKE London, we’d love to hear from you. Please send an email with your name, phone number, a brief outline of what you’d like to showcase to dhmakerbus@gmail.com. One of the coolest things going on in London, Ontario!